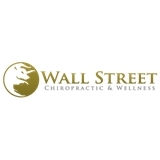 Wall Street Chiropractic and Wellness (New York) - Book Appointment Online! It's hard to find doctors in the city that actually care, and you can tell that he does. They actually listened to my problems and came up with a plan to help my pain. I am recommending anyone I know to them. Excellent. Day 1 of treatment and I already had visible results and increased mobility in my neck which has been an ongoing issue for me.